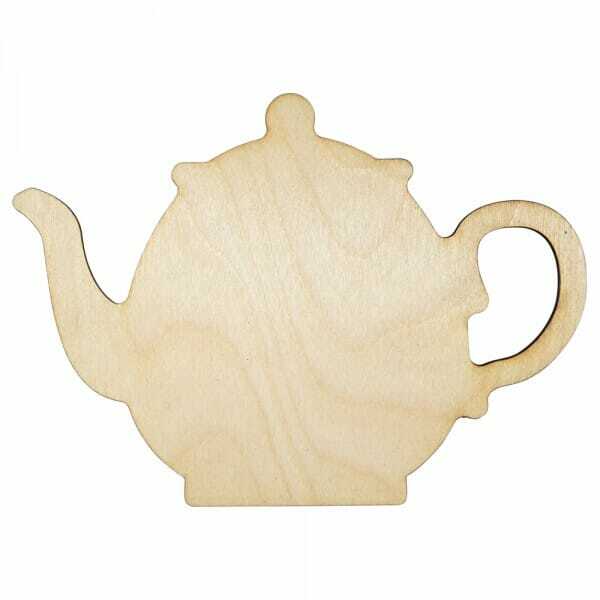 Our wooden teapot craft shape is laser cut from 3mm of Birch wood, demonstrating the intricate design of the shape. The shape comes in a variety of sizes, ranging from 25mm to 250mm, to give you the option of the most suitable size for your art project. Colour, glitter or glue, the wooden craft shape has the ability to enhance all craft activities. Customer evaluation for "Craft Shapes - Teapot"